The family of a Kitchener couple who died recently of carbon monoxide poisoning is urging everyone to check their carbon monoxide and smoke alarms to ensure they are in good working condition and not out of date. 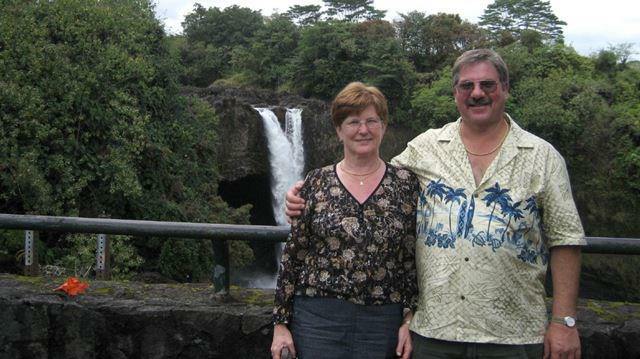 Dale and Rosemary McGillivray of Kitchener died tragically when carbon monoxide leaked into their home due to a car that was left running in their attached garage at their winter home in Port Charlotte, Florida. The couple’s youngest daughter, Tamara McGillivray said the car was running with the keys left in the ignition in the garage and the garage door was closed. “It was a freak accident. They left the car on by mistake,” she said. Tragically, the couple then passed away overnight in their bedroom on account of carbon monoxide poisoning. As expressions of sympathy, donations to the Canadian Cancer Society or the Heart & Stroke Foundation would be appreciated by the family.The McGillivray and Radtke family also asks that you check your Carbon Monoxide and Smoke detectors, to prevent further tragedies of this nature.